The Be Basque Dual Career Centre network, which offers advice and personalized guidance to the partners of highly-qualified professionals in order to achieve their adequate professional and personal integration in our Country, keeps growing with more collaborating organizations. This week the Basque Institute of Competitiveness, Orkestra, promoted by the University of Deusto, has entered into the collaboration agreement. Thus, Orkestra, through the investors network CRECER+, will participate in the professional guidance and integration of the partners of the highly-qualified professionals who choose our Country to develop their professional and personal life. More specifically, in the area entrepreneurship, both by helping the partners of the professionals who carry out entrepreneurial projects which require funding, as well as other contributions which these people may make at the startups. According to some European research, more and more highly-qualified professionals are nowadays moving as a couple. This geographical mobility affects the personal life of the highly-qualified professional and his/her partner. Therefore, agents have to consider the factors and the consequences that this mobility involves in order to attract talented professionals. 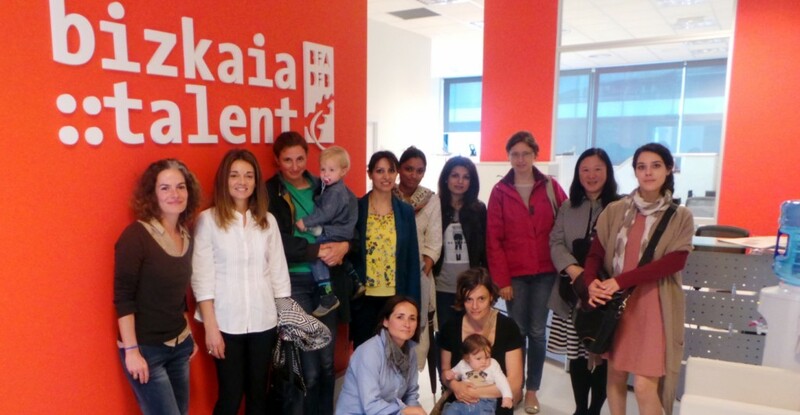 The managing director of bizkaia talent, Ivan Jimenez, says that the appeal of these institutions is not only going to lie in the excellence of their projects, but also in socio-cultural integration factors and in professional development as a key to carry out a joint life project, which affects our Country as a lever to promote an economy based on knowledge, innovation and creativity. Likewise, this agreement aims to continue exploring cooperation and development ways to strengthen the relations between bizkaia talent and Orkestra. “Although the Basque Institute has just joined the Be Basque Dual Career Centre network, in the last quarter of 2016 they hired a highly-qualified professional through the services of our organization” Jimenez added. The Institute for Strategy and Competitiveness of the University of Harvard, directed by Michael Porter, has recently given a special recognition to Orkestra-Basque Institute of Competitiveness of the University of Deusto for its evolution and the international influence it has reached in its first ten years of life. The configuration of Orkestra as a public-private collaboration space committed to the territory has been one of aspects highlighted by the University of Harvard when preparing the Orkestra Case. Harvard cases are a reference at the global level and the fact that they have done a case study on Orkestra gives great prestige to the Institute and reinforces considerably its international position. Another element highlighted by Harvard in the Orkestra Case is the research model developed, since there are no other international references for merging academic research, education and interaction with the agents of the territory.